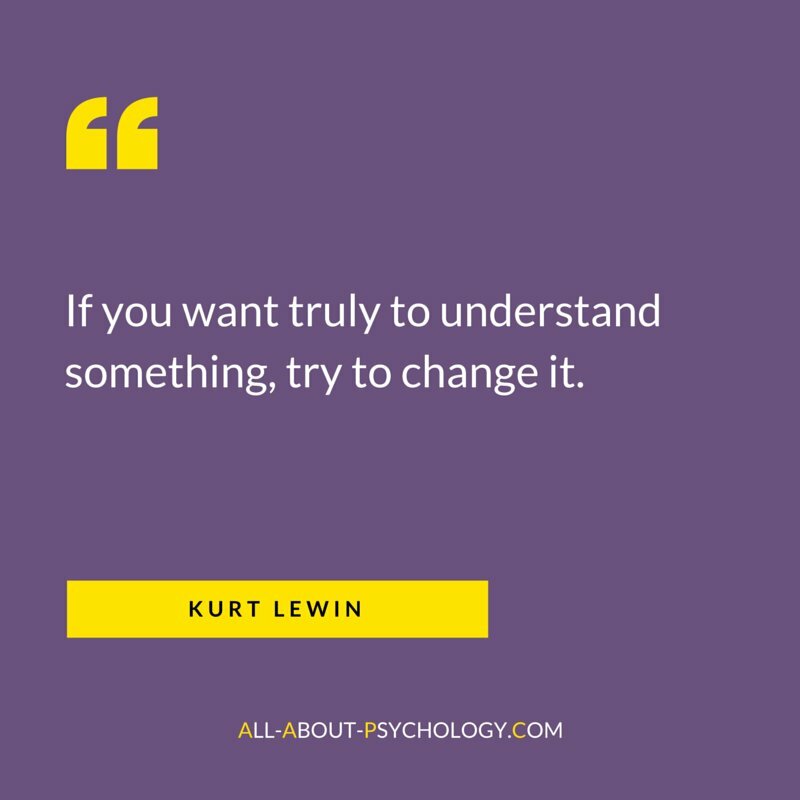 Born on the 9th September 1890, Kurt Lewin was a profoundly influential figure within the field of social psychology. Lewin was instrumental in demonstrating that experiments on groups could be conducted under precisely controlled conditions and in doing so pioneered the scientific study of group dynamics. A prolific writer, Lewin authored several books and numerous articles which informed our understanding of group processes in relation to such things as productivity, communication, leadership, social perception, experiential learning and intergroup relations. Lewin also wrote widely on the concept of 'action research,' the term he coined to express his firmly held contention that key individuals being studied as part of a group research project, should themselves be encouraged to act as cooperating recorders, observers and analyzers. Psychology has suffered a tragic loss in the death of Kurt Lewin and for those of us who counted him as friend the sense of bereavement does not lessen. Lewin's contributions to the problems of individual and group psychology were so great and his personality so vivid that any attempt such as this to do justice to him and his work within brief compass can provide but the merest suggestions as to where his true greatness lay. 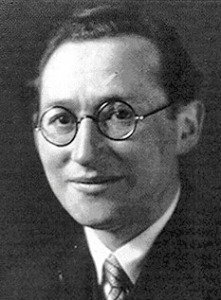 Kurt Lewin grew up on a farm in Germany. He received his Ph.D. at the University of Berlin in 1914 and served for four years in the first World War rising from private to officer. He returned to the University after the war as instructor in philosophy. 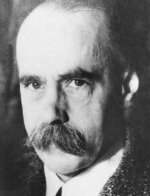 In 1926 he became professor of philosophy and psychology. After several years of working on the more conventional problems of perception and learning within a fairly classical associationistic framework he turned, more or less under the impetus of Gestalt principles, to problems of motivation, and in 1926 he published the first of that series of some 20 brilliant articles by himself and his students which appeared in Psychologische Forschung under the superordinate title - 'Untersuckungen zur Handlungs-und Ajjekt Psychologie, Investigations into the Psychology of Behavior and Emotion.' Here most of the basic concepts later so famous first appeared: those of the life space, of tension systems, of fluid vs. rigid boundaries, of valences and forcefields, of barriers, of space of free movement, of power fields, of cognitive structure, of reality and irreality levels, of psychical satiation and of the level of aspiration. And here also the distinction between 'systematic' (i.e., dynamic or field) laws and 'historical' laws was first presented. Perhaps the traits most obviously characteristic of Lewin were intellectual keenness and originality, courage and zest. They were apparent in his daily contacts as well as in the unfailing enthusiasm and energy with which he met every challenge to new scientific activity. These traits could be exhausting and overwhelming to those of us of more pedestrian temper. But they flashed as beacons to guide us. More important still perhaps was his essential humanity. 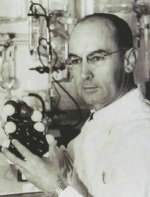 It was this humanity (itself an outgrowth perhaps of his basic identification with the Jews and their age-long problems) which caused almost all of his scientific career to be concerned primarily with the problems of motivation—the motivation of individuals and the motivation of groups. And it was this humanity which led him to stress throughout the 'situational,' as contrasted with the 'historical' determiners of motivation. He had, I suspect, a tremendous faith in the potentialities of every human being. He felt that, if we could but correctly conceptualize the a-historical, situational factors determinative of behavior, then we could manipulate these contemporaneous situational factors and produce the sort of behavior which all persons of good will would desire. If we can but discover the 'systematic laws,' the laws of the 'pure case,' i.e., those laws whereby a given 'life-space' inevitably produces a given behavior, then we can know how to change persons and groups to remake their behavior according to our heart's desires. In short, it was his humanity, I believe, which would not allow him to dwell for long on any considerations other than those of the manipulable present. His emphasis on the a-historical was a humanitarian as much as an intellectual need. Although he did not talk much about it, save to his intimates, all of us sensed his never-tiring efforts and his tremendous giving of himself and of his energies to relatives, friends and other subjects of Nazi persecution. One could but be amazed at the energy and fortitude with which he did all he could to try to circumvent these personal and group tragedies while continuing with unrelenting vigor his scientific investigations which would, he felt, help in the end to mitigate such social horrors. Lewin did not, of course, actually deny the historical, developmental influences acting upon the individual, and indeed by his diagrams of the structure of the inner life space with its interconnecting tension-compartments and its surrounding and interacting Motorik, he actually offered a brilliant conceptual scheme for representing the end results of such historical, developmental determinations. But he himself seems never to have wanted to dwell for long upon such developmental considerations. He did not deny the value of accounts of personality differences by means of depth psychology, but he considered these accounts not yet ripe for intensive investigation. We must first develop good systematic constructs before we devote too much energy to an effort to establish the more superficial historical laws. "In other words, there should be a 'systematic explanation,' besides the 'historical' one, namely, an explanation of how these different parts and properties can exist within one concrete social whole. As in psychology, in sociology both the historical and the systematic question 'why' is important, and neither question is finally to be solved without the other. Yet they are considerably different from the logical point of view, and the systematic explanation has often to be considered first." It was in this same essay that he suggested that in Americans (at least in the Americans whom he knew) there is a greater communicability and publicness of most of the outer layers of the personality, and in the Germans a greater impermeability of the surface layers which, however, if once penetrated, break all the way through. This means both greater ease and friendliness in ordinary social relations, and greater contact with immediate practical problems in the American, and a more private and idea-centered life in the German. I cite this distinction because Lewin himself was, or became, so very American in the terms of such an analysis. He was so astoundingly open to communication with others, so free from rank or status considerations. He set up no barriers of formality to protect any save his innermost layers. In one respect, however, he remained in some degree definitely German, namely,in his concern with ideas, with theory. Yet this attitude of his toward theory became itself, I believe, but a happy compromise between the German and the American. He stuck to his theoretical guns, but he had a sense of humor and he had flexibility. In the most basic sense he was pragmatic. Indeed, I remember one occasion in which a group of us had been making suggestions for a research project in social psychology, and Lewin, as was his way, had rushed to the board where he drew theoretical and topological diagrams for stating the issue in his terms, when suddenly he relaxed and with characteristic whimsicality remarked: "Theory is great, but we mustn't let it get in our way." The ultimate purpose of all theory, I can imagine him thinking to himself, is to be fruitful. One makes it as rigorous as one can. One develops topological and dynamic concepts for stating the basic systematic laws and one does this according to the best mathematical and logical traditions. But one does not press the resultant theoretical system too far - one leaves it in relatively schematic form. One develops the topological and dynamic constructs of the inner and outer life spaces and one predicts the resultant behavior from these, but one is aware that the constructs are mere constructs; and if, with the advance in empirical knowledge, the vector-topological derivations which result from such constructs no longer appear experimentally correct, one is ready to modify and improve upon them as may be necessary. Furthermore, one does not attempt at this stage of our science to give too precise quantifications. It is more important now to evolve a widely applicable, though quantitatively less precise system, than it is to evolve a quantitatively precise but-very narrow system. If one must make the choice, one's theoretical assumptions should be of a sort to be widely suggestive and useful rather than of a sort to be highly precise but applicable only to a set of highly selected and artificially controlled facts. The violent criticisms sometimes made of Lewin's theorizing cannot be ignored. These criticisms seem to have been of two main sorts. First there was the assertion that his dynamics and topology were mathematically or logically incorrect, and second there was the assertion that, while perhaps correct, nothing new could be derived from them. The first of these criticisms I do not feel competent to answer. But, in any event, perhaps it is not the one of major importance since it is certain that Lewin himself could, and would, have introduced the necessary modifications and corrections. (And now we can hope his students will do so.) The second criticism seems to me the more crucial. Is it true as I have heard asserted—or as I myself have at times been tempted to believe - that the proper conceptualization of a given life-space is possible only after the behaviors which are supposed to result from it have already been observed? I believe that in the actual practice of Lewin and his students this indeed often seems to have been the case. They seem often to have observed a given behavior first and then afterwards merely to have intuited an appropriate life-space to explain it. But this criticism is, I think, but partially correct. It arises, I believe, mostly because certain of the steps in the thinking of Lewin and his students were often not explicitly stated. The conceptual system of topology and vectors obviously implies and requires in the end not only a set of principles whereby such and such individual and group life-space configurations will produce such and such behaviors but also a set of principles whereby the independent variables of environmental situation and given personality make-up will produce such and such inner and outer lifespaces. And it is this latter set of principles which Lewin and ' his students, while not denying, seem to have been least explicit about stating. For the present they seemed to have reasoned (consciously or unconsciously) that common sense will serve in lieu of formalized principles. One must first make sure that one's concepts of the psychological field are correct and useable before one wastes time on premature and at present inadequately formalizable statements of the complex and often very equivocal and impure laws whereby the 'alien' factors of environment and of personality lead to inner and outer life-spaces. But far more important than any final precise evaluation of the details of Lewin's theoretical system was its extraordinary fruitfulness. 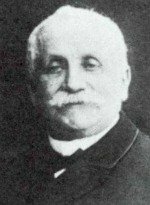 It led to a list of some seventy experimental studies by him and his immediate students, not to mention also the host of studies by individuals working in other laboratories on such crucial concepts as: substitute goals, psychical satiation, level of aspiration, ego level, experimental forgetting, and the like. Finally, no account of Lewin would would be adequate which failed to emphasize the activities of his recent years in what he called 'Group Dynamics' and 'Action Research.' The notion that actual experiments on groups could be carried out under precisely controlled conditions could have come only from a man of Lewin's originality and courage. He and his students deserve immeasurable, never-ending credit for the opening up of this vista for a whole new realm of psychological investigation. None but the dull or the prejudiced could fail to be thrilled by their initial findings on the effects of authoritarian, democratic and laissez-faire types of leadership upon small clubs of boys. And the new techniques and concepts which they developed and to which Lewin gave the name Group Dynamics (when then applied to the problems of workers in factories, of war morale and eating habits, of hospital techniques and, finally, to community tensions arising out of majority-minority conflicts) are, to me, a one bright hope in an otherwise desperate social picture. And, finally, the concept of 'action research'—the carrying out of such group studies with the additional feature that key individuals in the actual social conflicts being investigated should themselves be drawn in as cooperating recorders, observers and analyzers—could have sprung only from both a truly courageous mind and a basically democratic spirit. In the future history of our psychological era there are two names which, I believe, will stand out above all others: those of Freud and of Lewin. Freud will be revered for his first unravelling of the complexities of the individual history, and Lewin for his first envisioning of the dynamic laws according to which individuals behave as they do to their contemporaneous environments. Freud, the clinician, and Lewin, the experimentalist, these are the two men who will always be remembered because of the fact that then contrasting but complementary insights first made of psychology a science which was applicable both to real individuals and to real society.